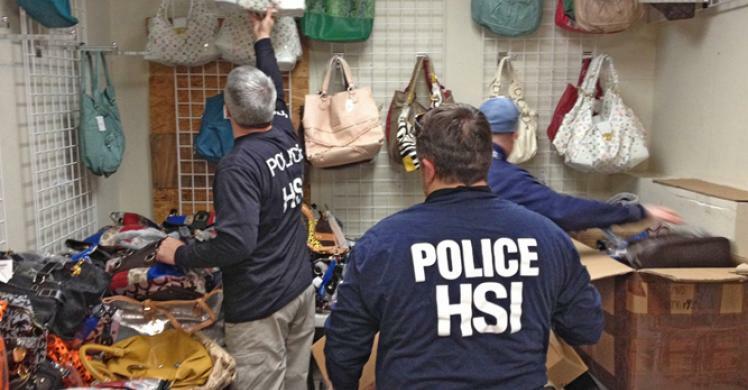 NASHVILLE, Tenn. – U.S. Immigration and Customs Enforcement’s (ICE) Homeland Security Investigations (HSI) in coordination with the Metropolitan Nashville Police Department seized thousands of counterfeit items worth a total manufacturer’s suggested retail price of more than $1.8 million from Legends Clothing Store on Bell Road Tuesday. The seized items include counterfeit designer clothing and handbags bearing the trademarks of Chanel, Gucci, Louis Vuitton, Michael Kors, Nike and Ralph Lauren. Investigators also seized counterfeit National Football League, National Basketball Association and Major League Baseball sportswear. 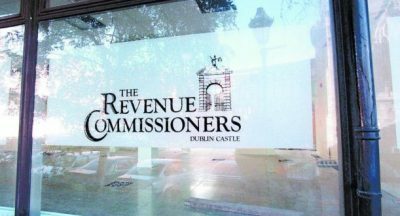 “Criminals who sell counterfeit products are economic parasites who harm legitimate businesses that pay taxes, create jobs and support our national economy,” said Special Agent in Charge of HSI New Orleans Raymond R. Parmer Jr. “Anyone who thinks counterfeiting is a victimless crime should realize the profits of these black-market sales are routinely diverted to support further criminal activity such as drug trafficking, money laundering and even potential terrorism.” Parmer oversees a five-state area of responsibility including Tennessee, Alabama, Arkansas, Louisiana and Mississippi. 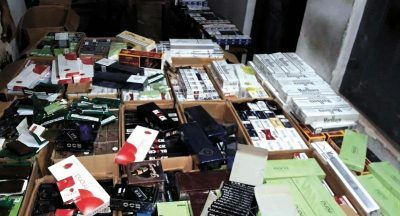 Kochi police seizes tobacco products worth Rs 40laks.